The Supreme Court’s rejection of Swiss drugmaker Novartis’ patent application for its blockbuster anti-cancer drug Glivec is poised to give a boost to domestic generic drug manufacturers by providing clarity on the extent of innovation required to retain patents in India. The decision means Indian generic drugmakers can continue to sell copies of the drug at a lower price in India — and that is a blow for some multinationals banking on easy patent power. Novartis shares plunged 6.8% to Rs.558 on the Bombay Stock Exchange, a 14-month low after the judgment, before recovering losses to end down 1.8% to Rs.588. Domestic drug majors, however, registered gains with Cipla climbing 1.2% to Rs.384, Ranbaxy 2.7% to Rs.452 and Natco Pharma 5.4% to Rs.452. Glivec, which is used to treat chronic myeloid leukaemia and other forms of cancer, costs Rs.1,20,000 a month. The generic equivalent is currently available in India for about Rs.8500. For Indian generic firms, especially Cipla, Ranbaxy and Natco, which have been selling similar versions of the drug, it is a welcome move. Purchasing a property in India ranks high in the list of priorities of a non-resident Indian (NRI). A home is a security and provides a shield to the buyer against factors like high prices and inflation. To begin with, the first thing that an NRI needs to be familiar with is the procedure of buying a property in the country. The buying transaction is governed by the Reserve Bank of India (RBI) and the rules and regulations fall under the purview of the Foreign Exchange Management Act (FEMA). The forum called Open House on MagicBricks site where consumers post their property related queries has seen prospective NRI buyers ask about the lowdown on how to buy a property in India. Legal Expert Asha Nayar Basu, Partner, S Jalan & Co. Advocates provided the fundamentals that need to be looked at before a purchase. Firstly, an NRI may acquire any immovable property other than agricultural land/farm house/ plantation property in India by purchase. Secondly, funding of the transaction can happen a) out of finances received in India by way of inward remittance from any place outside India or b) funds held in any non-resident account maintained in accordance with the provisions of the Act and the regulations made by the Reserve Bank under the Act. 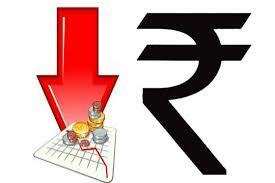 According to the RBI website, no payment can be made either by traveller’s cheque or by foreign currency notes. Thirdly, NRIs can take a home loan also for purchase of a property. RBI also allows NRIs to take a loan for repairs and renovations of their home. RBI states in its website that the buyer, however, has to adhere to the FEMA regulations at the time of taking the loan. “Banks cannot grant fresh loans or renew existing loans in excess of Rs 1 crore against NRE and FCNR deposits, either to the depositors or to third parties,” the site mentions. You are currently browsing the archives for the Indian Market category.